I recently bought a new Linksys wireless router and after setting it up with basic WEP security, I tried to logon from my laptop and was successful! Not very exciting, eh? Fabulous! What certificate! I checked my settings on the wireless router to make sure I didn’t accidentally setup certificate security, but found no such thing. Also, since I was able to connect from my laptop with no problem, it led me to believe it was something wrong with my desktop. After about 30 minutes of fiddling around with various settings, I was able to figure out what the problem was. Here’s how to connect to your wireless router if you are getting this message. 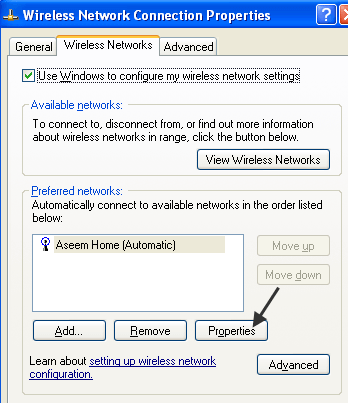 Now click on the Wireless Networks tab and select the network in the list at the bottom. 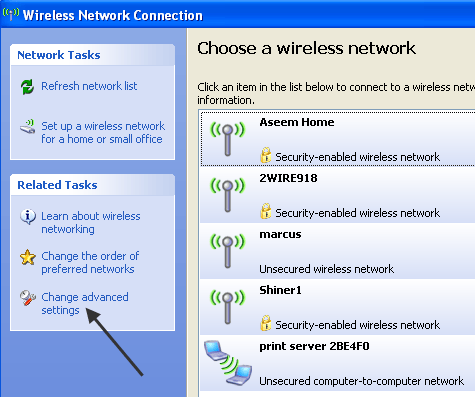 Click on Properties once you select the wireless network that is having problems. 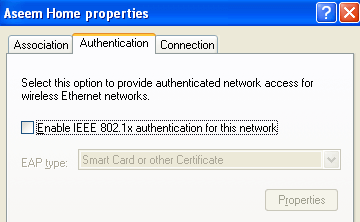 Click on the Authentication tab and now uncheck the Enable IEEE 802.1x authentication for this network box. If the box was checked, then that was why you were getting the “unable to find a certificate to log you on to the network” message because Windows is looking for one, but your wireless router is not setup for certificate security. And that’s it! Once I unchecked that box and tried to reconnect to the wireless network, everything worked fine! Enjoy!